Designing a complex digital system requires an effective method for modeling the sequential part of the system. One of the methods is the Finite State Machine based modeling. The implementation efficiency of the sequential part of the designed system has usually a great impact on the processing performance of the whole digital system. Petri nets, which are another method of modeling the sequential part of systems, can also be transformed into FSM-based models. Thus, development of effective synthesis methods for FSM implementation is very important. Digital systems are often implemented in FPGA architectures. Because of their specific structure, the most efficient synthesis methods are based on functional decomposition. 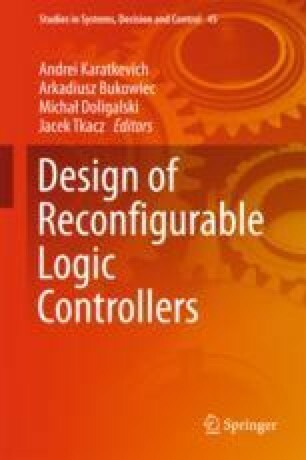 This chapter discusses decomposition-based methods for FSM implementation targeting programmable structures.